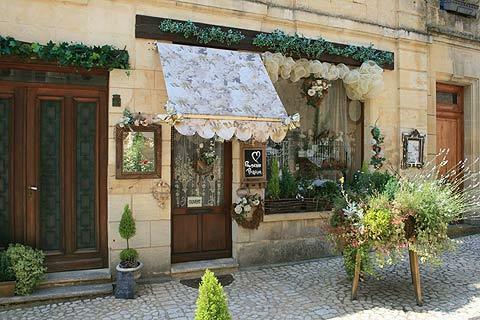 Beaumont-du-Perigord is a town situated in the southern part of the Dordogne department. 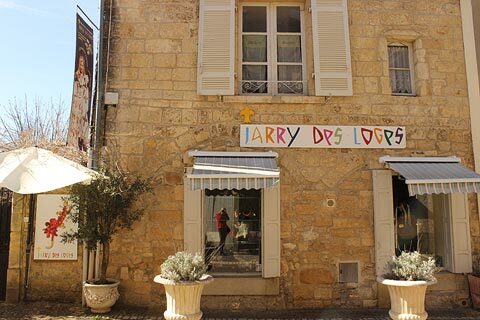 It is an English bastide town founded in 1272 by Edward I of England. 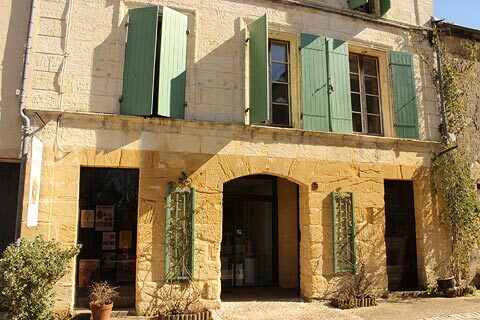 In common with the usual plan for bastide towns it was built following a formal grid pattern, although in Beaumont this layout is less evident than in some of the other bastide towns in the region. 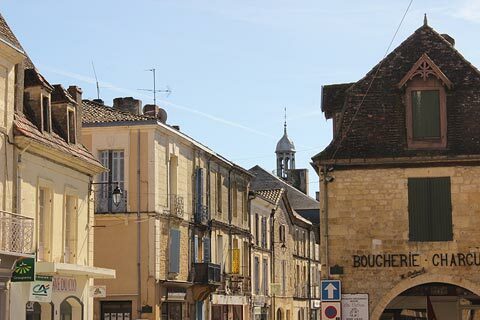 France This Way comment: the only downside of a visit to Beaumont is that, unlike most of the bastide towns in the region, there is a 'through road' that passes through the centre of the town and across one side of the main square. This does make the town slightly less 'authentic' than if you had to park outside the town and wander up a quiet street to reach the centre, as is more often the case. A visit to Beaumont centres around the main square in the centre of the town, the adjacent church and the streets around the square. 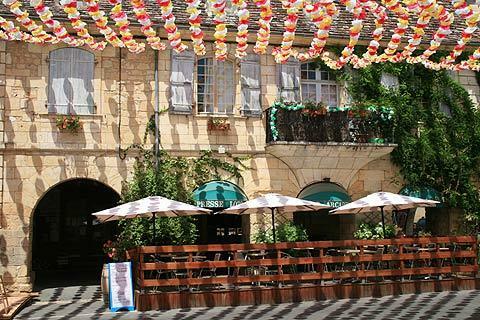 This main square is still partially surrounded by the original medieval buildings above stone arcaded passages, and also has a couple of cafes. 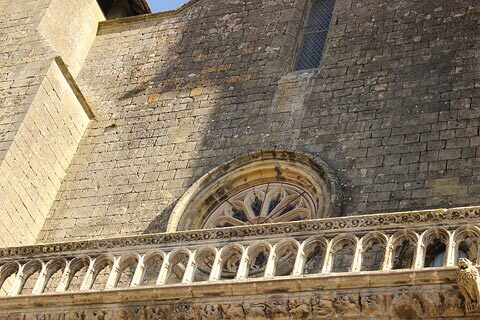 The church on the corner of the square in Beaumont-du-Perigord was built at the end of the 13th century (and much modified in the 19th century) and is a large building that dominates the skyline of the town. 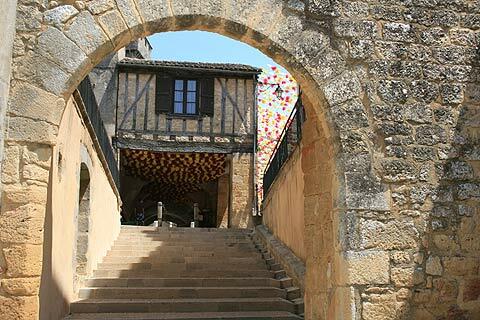 As usual for a bastide town it originally formed an important part of the towns medieval defensive strategy. 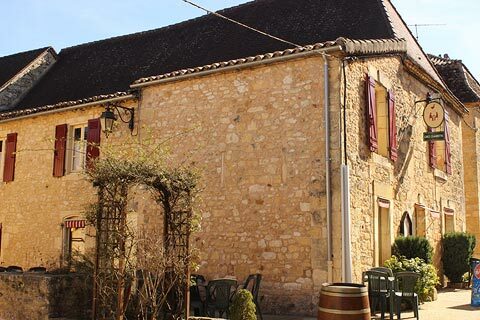 Exploring the surrounding streets you will see various examples of houses dating from the middle ages in Beaumont-du-Perigord, including Maison Chambard, a substantial town house with 15th century dormer windows and a 13th century facade onto the street. 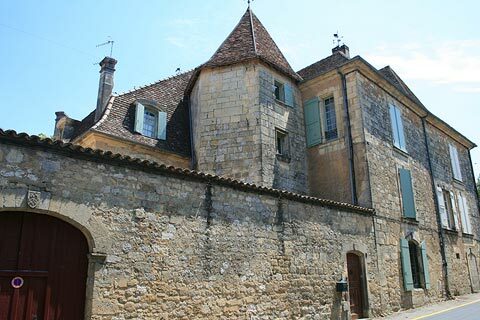 Part of the original medieval Maison de Monsec can be seen and a remnant of a 13th century prison wall while the Maison Lafitte is an unusual timbered house with the cross of St Andrew set between its windows. 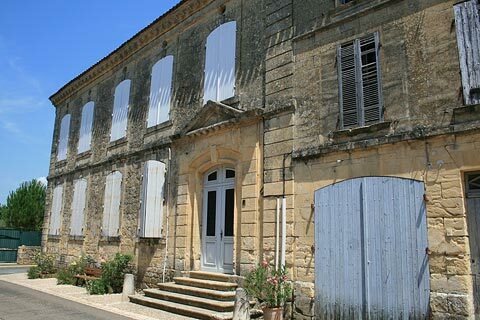 The town's Maison de Retraite (retirement home) was originally a convent built in about 1700 - an elegant building, with identical windows each topped by a shell design, being the sign of the pilgrim route to Compostella. On the quiet road that runs parallel to the main street there are several interesting art shops and galleries - take a look at the impressive wood-turnings and photos in the little gallery of art among others. 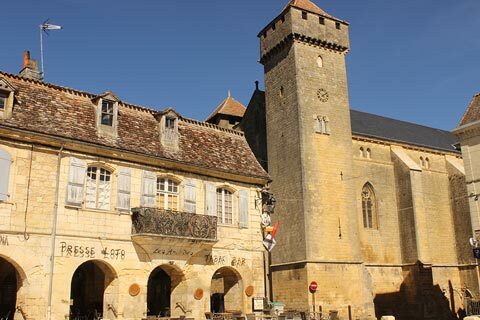 On the edges of Beaumont-du-Perigord you can see the Tour de Bannes which is part of the original defences of the town, and you can walk round the old ramparts to see the Porte de Luzier and tower. The houses along Rue Feliciane are built into the original ramparts. 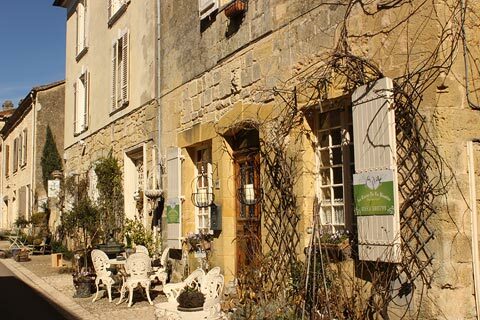 Venture a few kilometres south of town to admire the lovely (privately owned, no public admission) Chateau de Bannes, a delightful chateau which looks like something straight from a fairy tale. 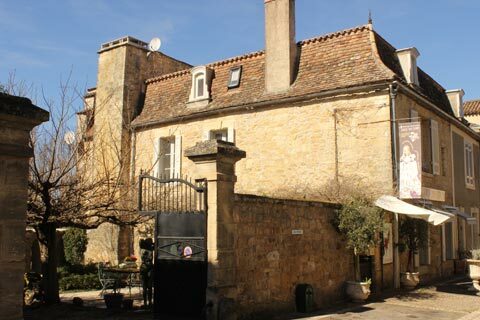 Close to Beaumont-du-Perigord there are several other attractive bastide towns each with their own particular highlights including Monpazier, Monflanquin and Villereal. 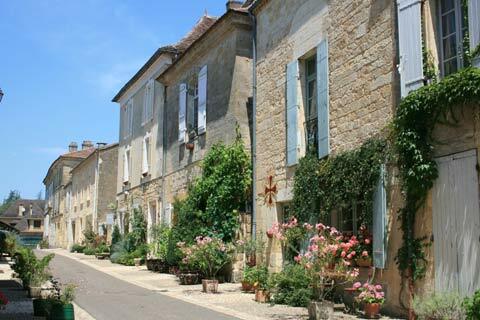 Other local highlights include the quiet villages of Molieres and Montferrand and the abbeys at Cadouin and Saint-Avit-Senieur.